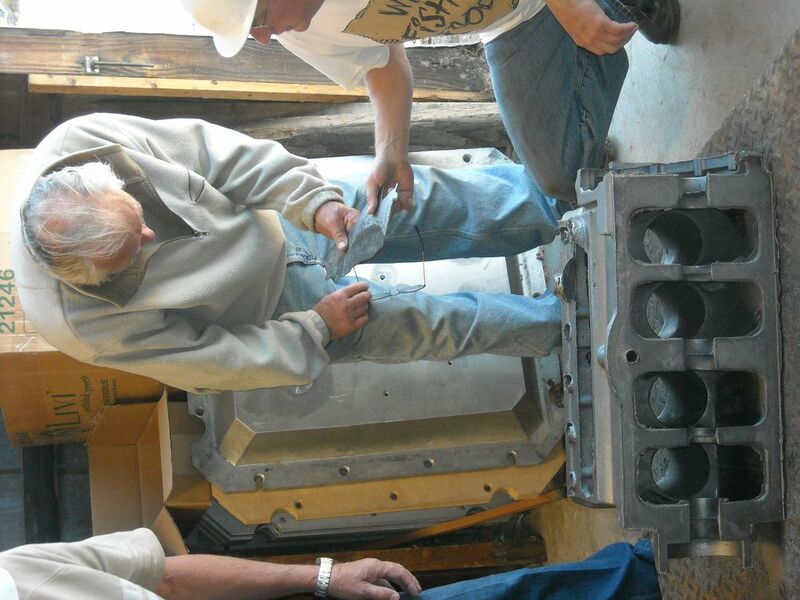 The first cylinder block was cast on 22 July 2010, and is on its way to the MAFCA (Model A Ford Club of America) convention in Vancouver, Canada. Look for John LaVoy, Model A Times editor. 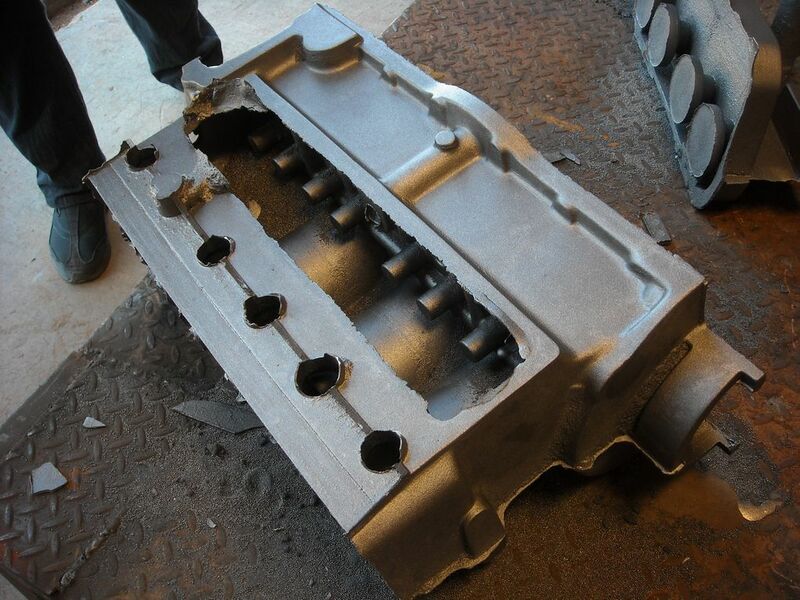 The first cylinder block is not a usable casting as the water jacket core was known to be broken (and free floating) before the mold was closed, there is one thin exterior wall, and the gating didn’t work as intended. However everyone at Lodi Iron Works and myself were very happy to see that the mold filled completely, venting seems to be adequate, all secured cores held their position, surface finish (with exception of a few areas) looked good, there were no cold flow areas, there were no shrinkage tears or voids, all of the core sand was easily removed from the water jacket, and the basic concept of building the mold was validated. Other than breaking the gates and flash from the raw casting, no further labor was expended to make the casting pretty since there would be no further knowledge gained. Everyone agreed that the problem areas mentioned above can be resolved before the next casting attempt. 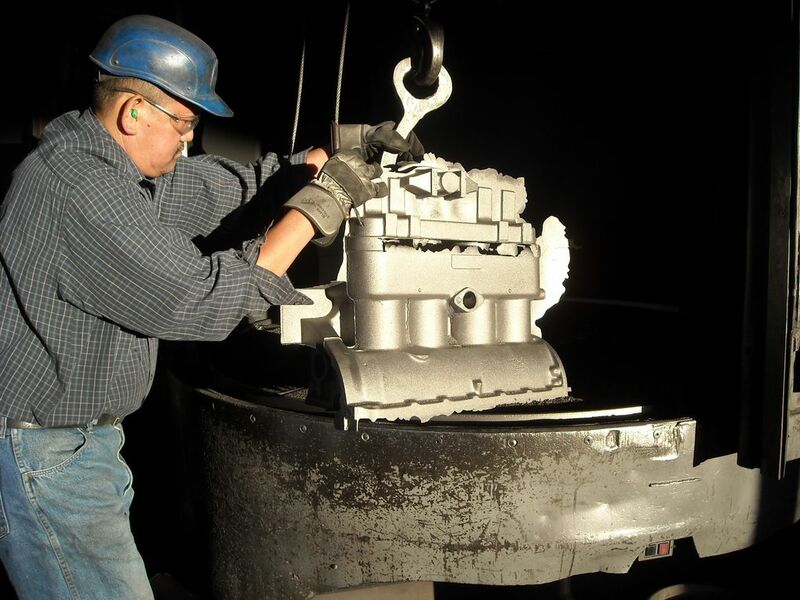 Castings of this complexity usually take multiple attempts before a usable casting is realized. Attachments 1 through 6 were taken on July 23, 2010 and show the first casting. In the previous update (June 2010); I mentioned that as a result of the FEA (Finite Element Analysis) on the originally designed connecting rod, that even though it was more than adequate for the design loads, I could make some improvements. 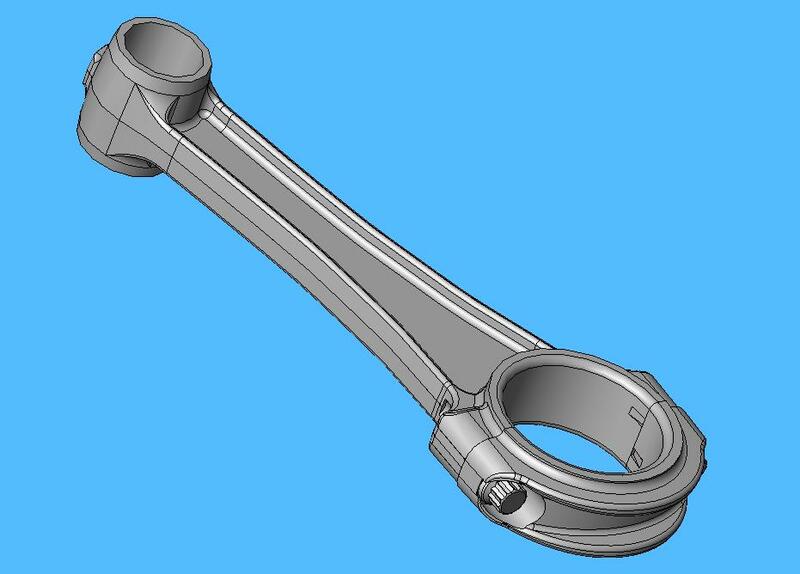 Attachment 7 shows the revised connecting rod design. I attended the Design 2 Part Show in May at the Santa Clara Convention Center and found 3 machine shops willing to bid on machining the cylinder block with their CNC machines. I have not had the time to schedule a meeting with them to discuss particulars. In addition, Lodi Iron Works has 2 new CNC machines, and I need to talk with them about machining. 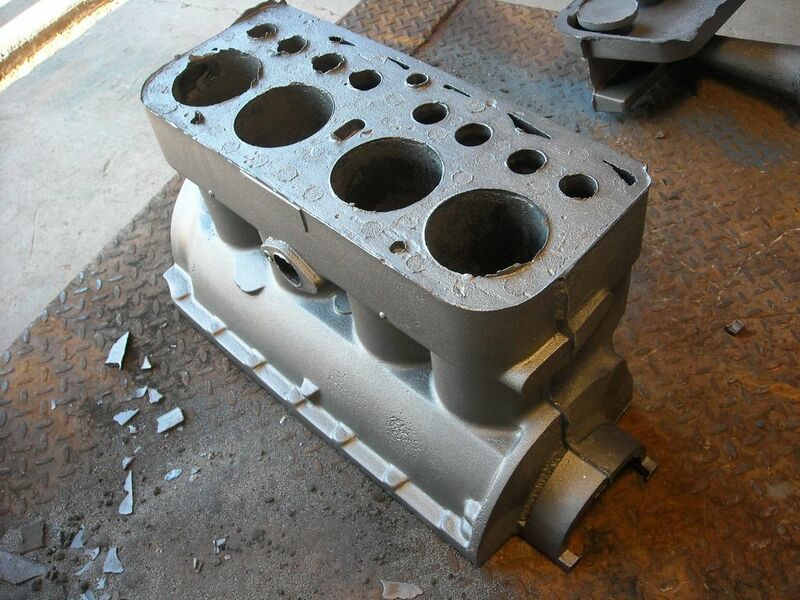 The next update will be after the 2nd attempt at pouring a cylinder block. 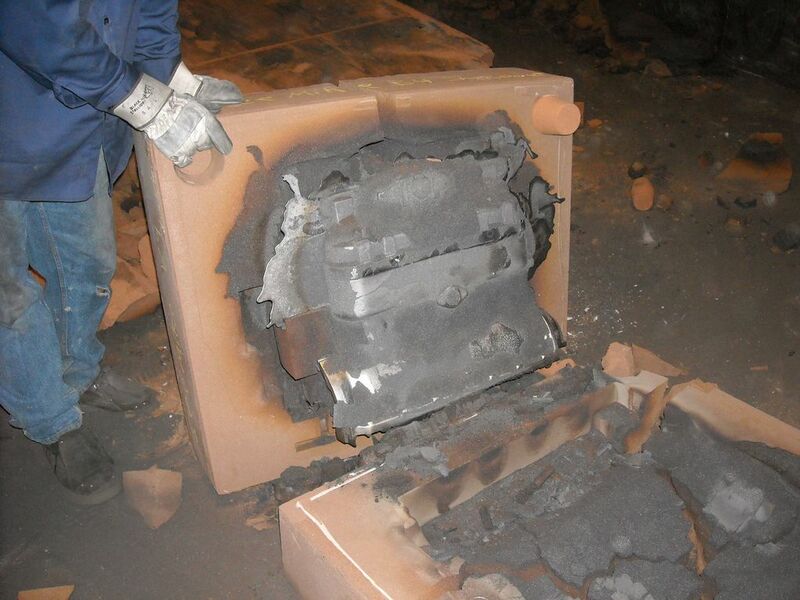 Lodi Iron Works has been advised to schedule the 2nd attempt as a fill in job.